Over the past thirty years, Arizona statues regarding drunk driving have become stiffer and include heavier penalties for those who are convicted. Throughout the United States, state legislatures have begun to penalize those who are convicted of DUIs with heavy fines, mandatory jail sentences and probation terms in an effort to curtail drunk driving. However, Arizona statutes can be especially hard on anyone who is convicted of a DUI charge. 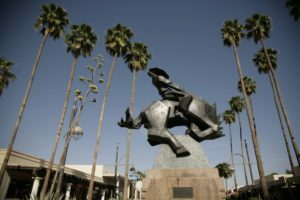 For this reason, if you have been charged with driving under the influence in Scottsdale, Arizona will need to find a capable and aggressive DUI/ DWI defense lawyer like David Michael Cantor who has a proven track record of successfully defending DUI and other criminal cases before the Scottsdale City Court for over 25 years. David Michael Cantor was voted one of the 10 Best DUI Lawyers in Arizona for 2014 by the American Institute of DUI Attorneys, and is a member of the National College for DUI defense. In over 25 years of owning his own practice, David Michael Cantor has documented over 2,900 DUI case victories in Scottsdale and the entire State of Arizona. In each of these instances, drivers will also face the possibility of driver’s license suspension, have to install an ignition interlock device in your car, attend alcohol classes, and have increased car insurance premiums – if & when you get your driver’s license back. Due to the seriousness of these DUI penalties, it is always best to contact a DUI lawyer immediately who can represent you in court. After being charged with a DUI in Scottsdale, you will be taken to one of four police stations. However, you will ultimately end up at the Scottsdale City Court located at 3700 North 75th Street in Scottsdale, Arizona 85251. Your court date will be scheduled for a time on Monday through Friday between 8:00 am and 5:00 pm. When you arrive, you will find free parking directly across the street, just north of Indian School Road. There are four judges at Scottsdale City Court who handle DUI charges, and they are Statia Hendrix, Joe Olcavage, Jim Blake and Orest Jejna. Each of these judges have experience working as prosecutors and are firm but fair. On your court date, arrive on time and dress in appropriate court attire such as a collared shirt. Why Hire a DUI Attorney in Scottsdale? If you are facing DUI charges Scottsdale, you will want an aggressive defense attorney who can represent you in court so you can avoid multiple visits to the Scottsdale Courthouse while defending your case. Our DUI defense team will represent you in court on the days when you aren’t required which allows you to focus on your work and family. To contact DM Cantor, call us at 602-307-0808 or you can click here to fill out our online form. Your initial consultation will be confidential, and within less than half an hour, you can be assured your case is in the hands of an experienced criminal defense lawyer that will represent you in court. Give us a call if you need directions to our office from North Scottsdale, Old Town, or anywhere else in the Scottsdale area.